I believe that you can drag in drop attachments in Firefox as well. I imagine the reasoning for using the internal PDF viewer vs adobe is universal compatibility. So you have the same experience regardless whether you view a pdf on linux, windows, mac or Chrome OS. All using the same internal PDF reader. Adobe reader blows. Its big, its slow, and its buggy. I recommend Foxit reader instead. I can fully understand why Google doesn't detect and use Adobe's reader/plugin. Amen to that on Adobe Reader. Foxit is a MUCH better, cleaner, more streamlined app. you can view pdfs in firefox as well. I actually saw Chrome not only detect Adobe's plug-in, but even put a notification bar at the top (similar to the one used for translation) asking if I would like to use a more capable PDF viewer and Adobe should from now on handle PDFs on Chrome!!! Granted, due to the wording used (I don't remember the exact words, and I never install any of Adobes products on my own PC, so can't check) and suggestion to set Adobe to default I felt this was initiated by the Reader plug-in, but anyway, this does work for sure. For me, the above case is the furthest I would consider acceptable (except it wasn't, as it kept nagging me every time I opened a PDF, so I had to disable it for good via chrome://plugins/), especially as Reader is so slow and... I don't even want to start. Even Foxit's plug-in is crawling compared to Chrome's native one. The native printing doesn't work well. On my Ubuntu 11.04 (and on 10.10 before that), colors don't print correctly, some pages vanish, etc. Have to DL the PDF to print. The built-in PDF viewer is a pain! I often print postage online from royalmail.com. That site relies on the Acrobat reader to remove a watermark from the pdf when printed, but the built-in Chrome viewer doesn't do this. So I have to remember to use FF for the royalmail.com site. Annoying! I don't see why you can't use Adobe Reader in Chrome, if it's absolutely necessary - just make sure you disable Chrome PDF viewer in chrome://plugins/ and make sure Adobe Reader plug-in is enabled. 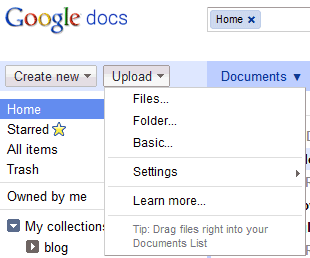 6: It's not clear why Google doesn't detect Adobe Reader's plug-in to use a more full-featured PDF reader. Because Adobe software (especially Adobe Flash and Adobe Reader) are slow, buggy and insecure. Also a more simple approach is often more accessible to less experienced users. @General: I'm disappointed it's all about Google actually. Would have been nicer to see some Chrome-only features which work on all websites (like C:/fakepath/file.ext instead of the full path, not sure if that's also a feature in FF4 or IE9, but I mean such things which work everywhere). For balance, you should also mention "Google features only available in browsers other than Google Chrome". Offline Gmail was a major feature which has been removed with the "upgrade" to Chrome 12. Offline Gmail is coming before July. Waiting for it eagerly. And in the meantime they expect us to go back to Outlook?! You left out "installing plug-ins in every other browser on your machine". That has nothing to do with Chrome, it's the way NPAPI plugins work, which makes a lot of sense, btw - you already have to install two separate plugins if you use IE (don't see why anyone would, but...), would you like to do that for EVERY browser you have? I don't know much about computers, but I have been using gmail for my emails. I start to create an email and if I don't know the email address that I am sending to, all I have to do is click one letter and I get several options. I just click on the option I want. My wife is using a different type of email and when she types a single letter or more, she does not get options unless they were very recently used, she has to get out a paper list to put the address in. It is frustrating to me. That is why I went to gmail. Now it seems that I have to use Chrome as my home page. Is there another email service that does what I need? Only 7? I could come up with at least 100 more. I used to be able to use Adsense with Firefox, then suddenly it stopped working with Firefox and I was advised by Google to try it with Chrome. It worked with Chrome. 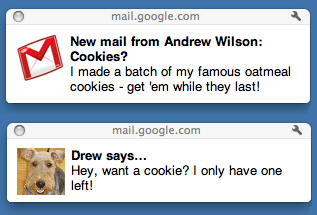 Now the Google Notifications does not show posts on Firefox (most of the time), but works on Chrome. What could be the problems?